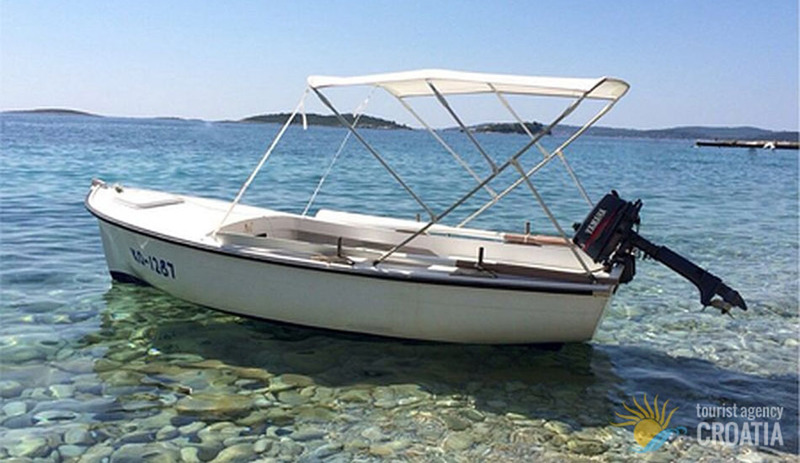 Crikvenica, Selce, Krk, Dramalj, Opatija or anywhere else. 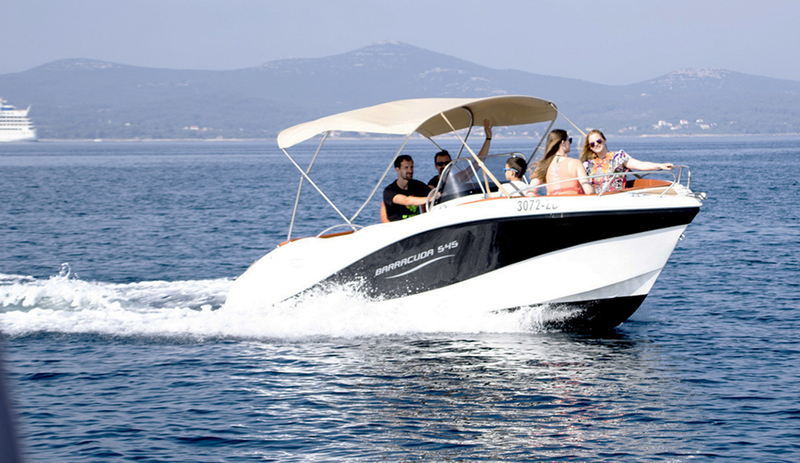 Rent a boat Novi Vinodolski – Nautica have prepared a top vessel to be able to freely enjoy the beauty of the Adriatic and its clear sea. 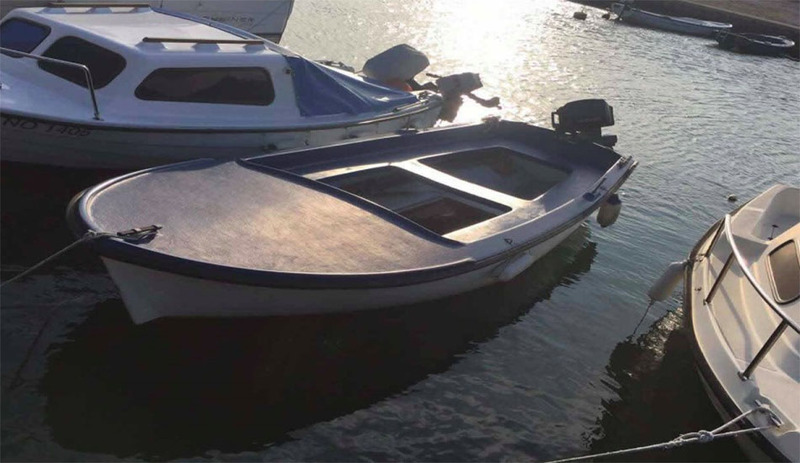 Currently we offer 4 vessels that can be viewed and of course book to be among the first to feel the magic of the Adriatic coast. 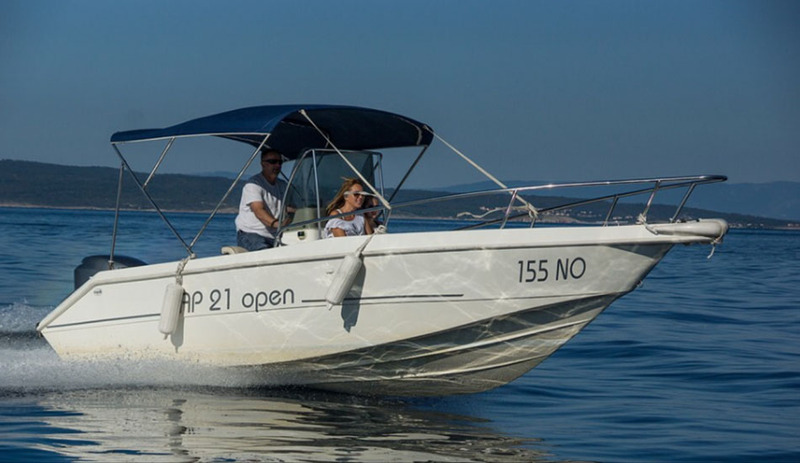 Boats Rent a boat and Taxi Boat Nautica can be rented in the harbor at the yacht club “Burin” or we deliver to the desired location, the area of Crikvenica, Novi Vinodolski, Selce, Krk, Opatija or anywhere else. dino.novi4@gmail.com or phone +385 99 709 9904. 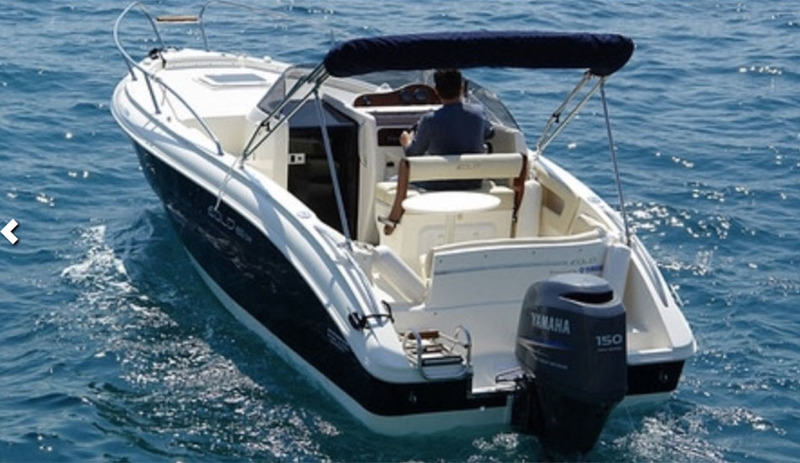 Engine: Suzuki • Capacity: 8 persons • Fuel tank: 200 l.
Engine: Yamaha 130 • Capacity: 7 persons • Fuel tank: 120 l.
EQUIPMENT: bimini tent, sun deck, signal flares, fire extinguisher, anchor, grapple, fenders, nautical charts, life vest, compass, swim ladder, WC, GPS, radio CD, bluetooth, 12V socket , 1 bed. 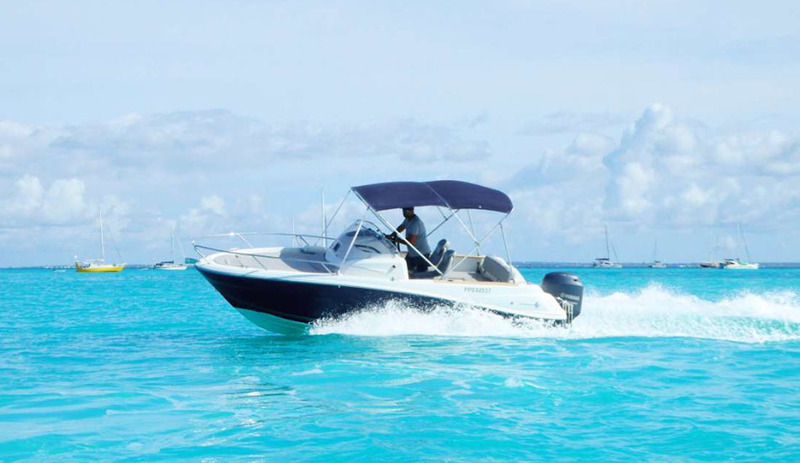 Length: 6,50 m • Width: 2,50 m • Engine: Mercury Verado 150 Capacity: 8 persons • Fuel tank: 200 l.
EQUIPMENT: Bimini top,GPS,radio CD,USB,12 V socket, fridge, bluetooth, sun deck,fenders, flares, 2 anchor hook, fire extinguisher, charts, stove, sink, shower and water tank 60 l.
Engine: Yamaha 200 • Capacity: 8 persons • Fuel tank: 200 l.
EQUIPMENT: Bimini top, GPS, USB, Bluetooth,12 V socekt, showr, fridge, sun deck, flares, fire extinguisher, 2 anchor hook, charts, compass. 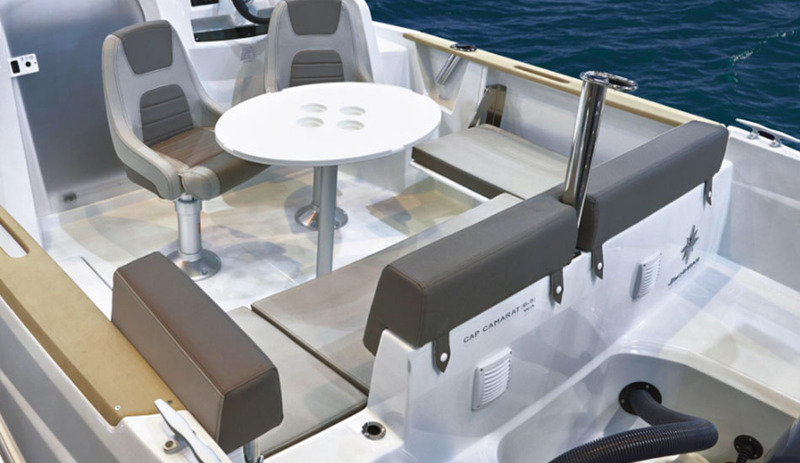 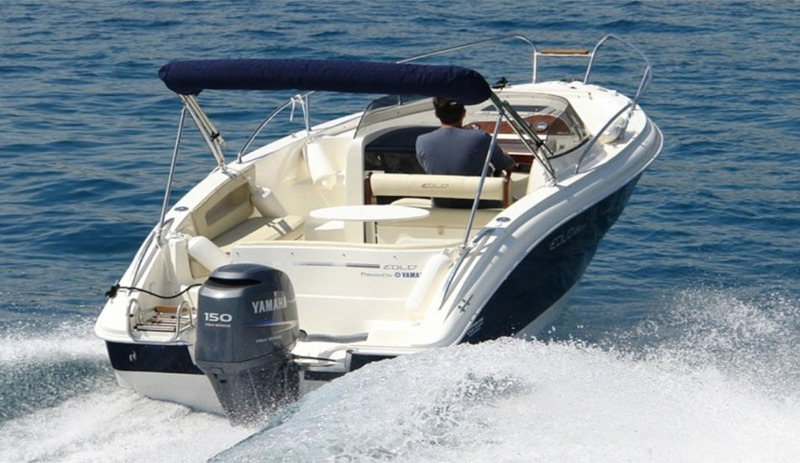 Engine: Yamaha 10 • Capacity: 6 persons • Fuel tank: 10 l.
Bimini top, sun deck, lights, anchor. 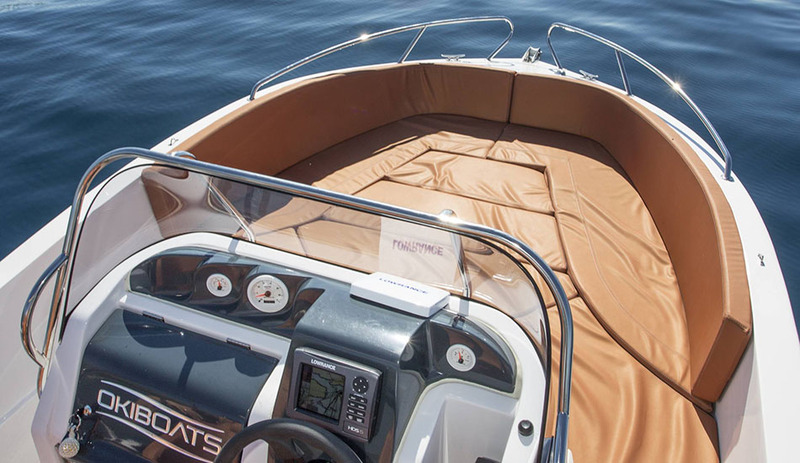 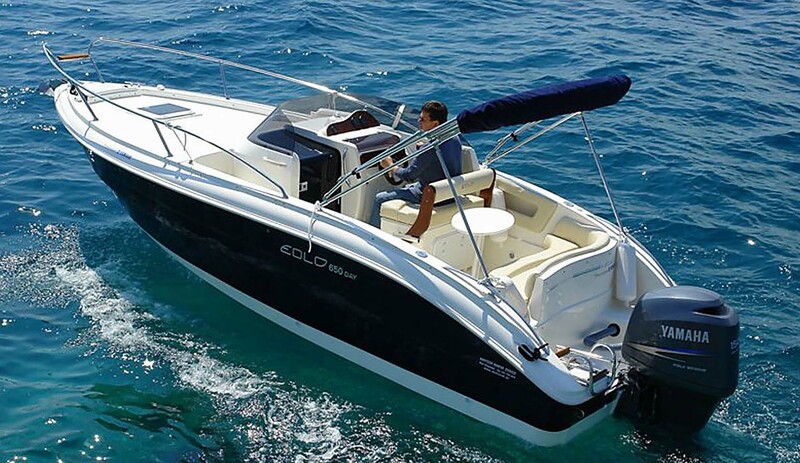 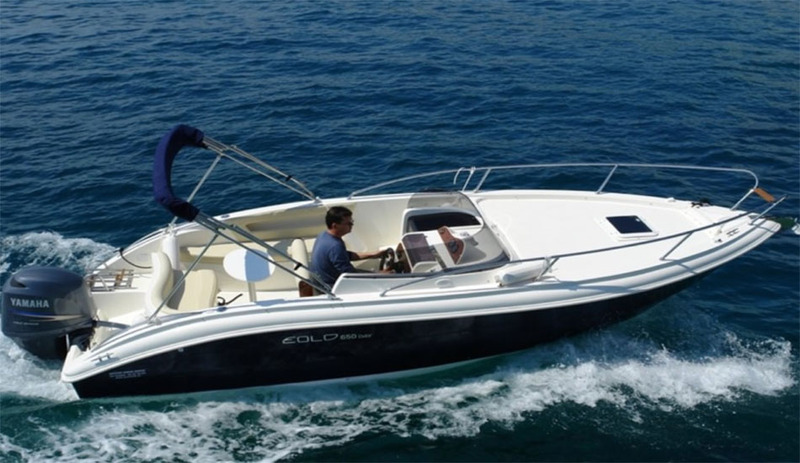 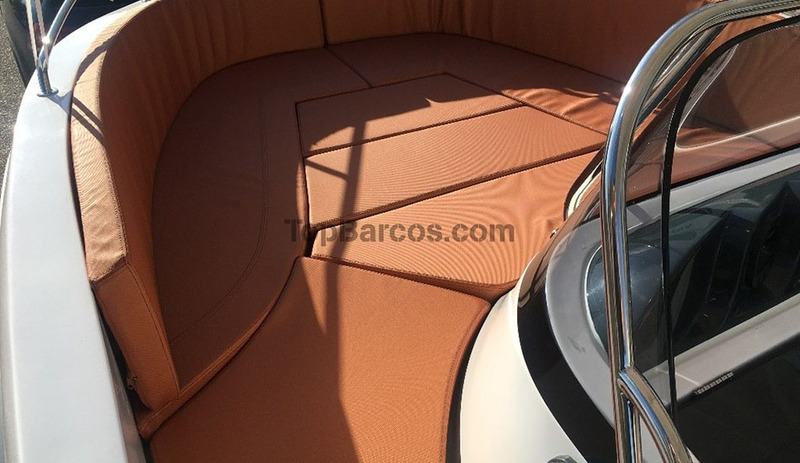 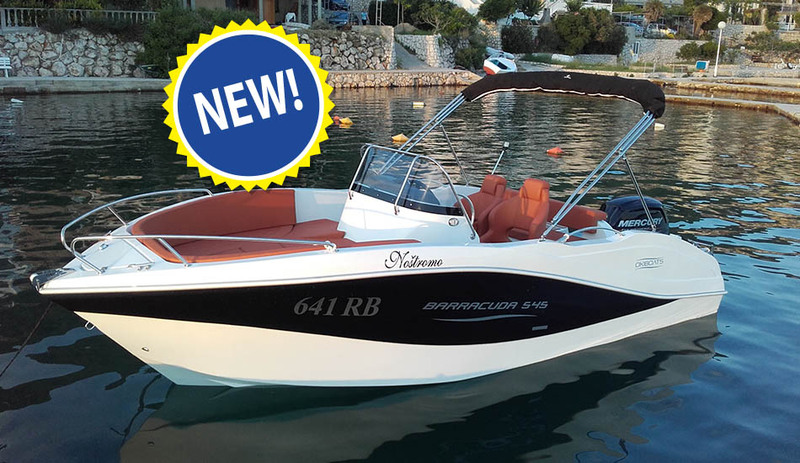 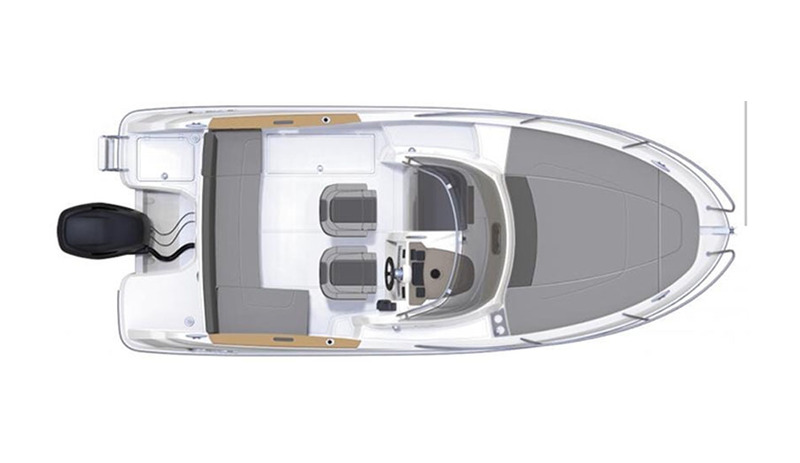 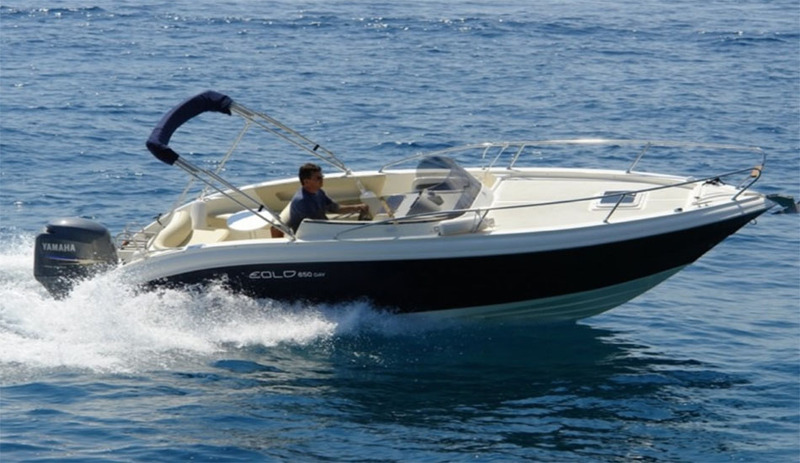 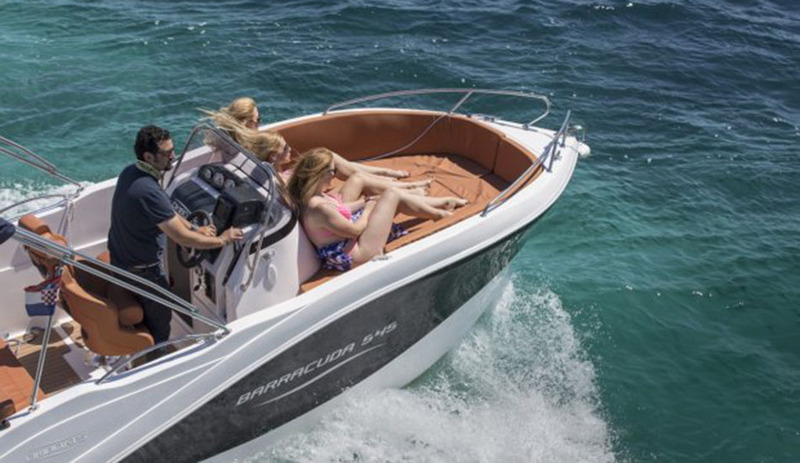 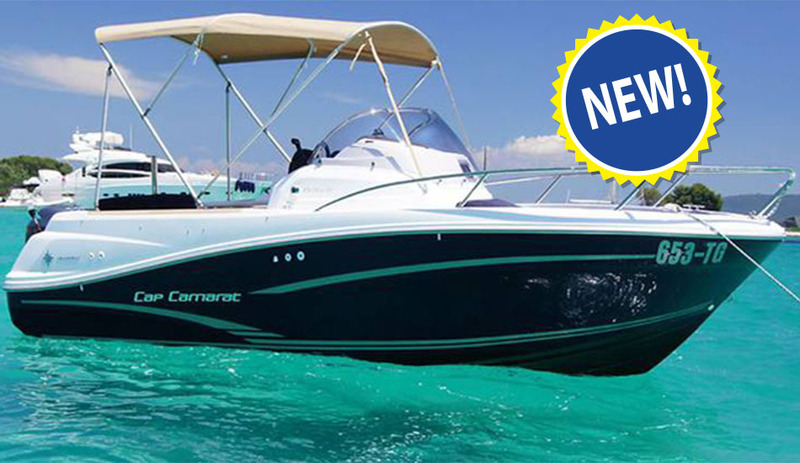 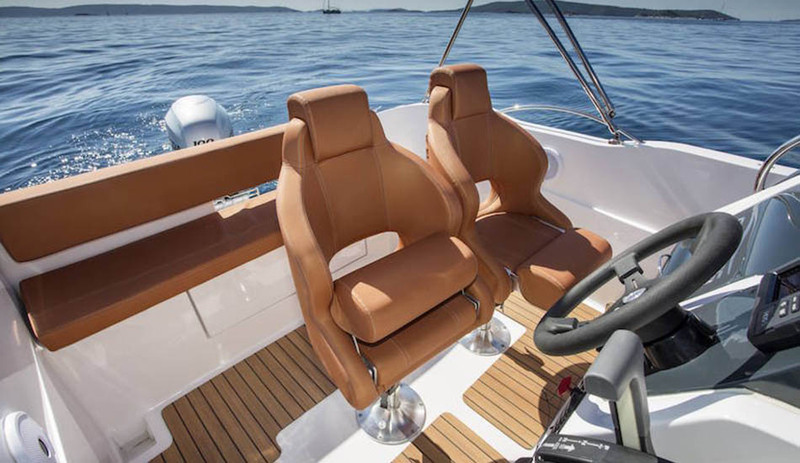 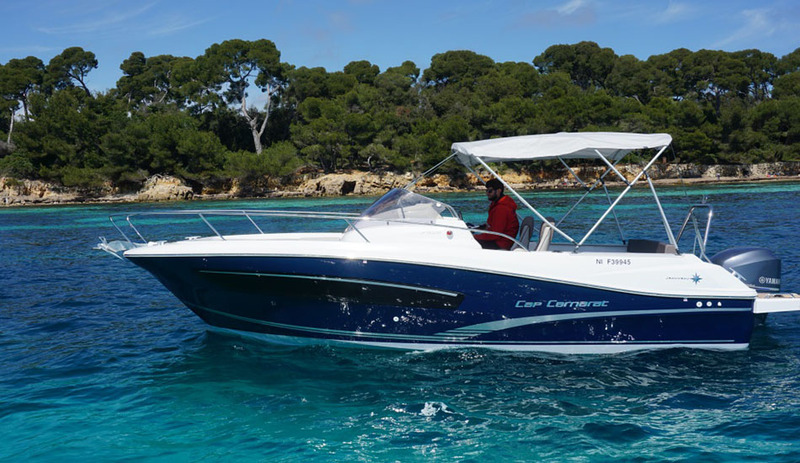 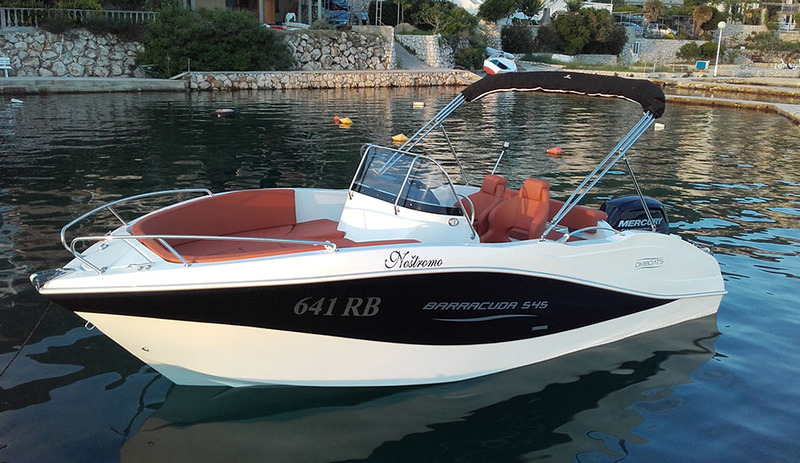 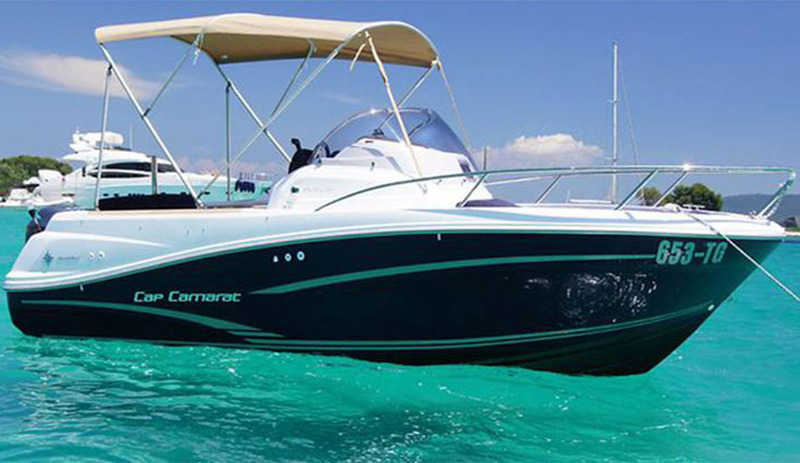 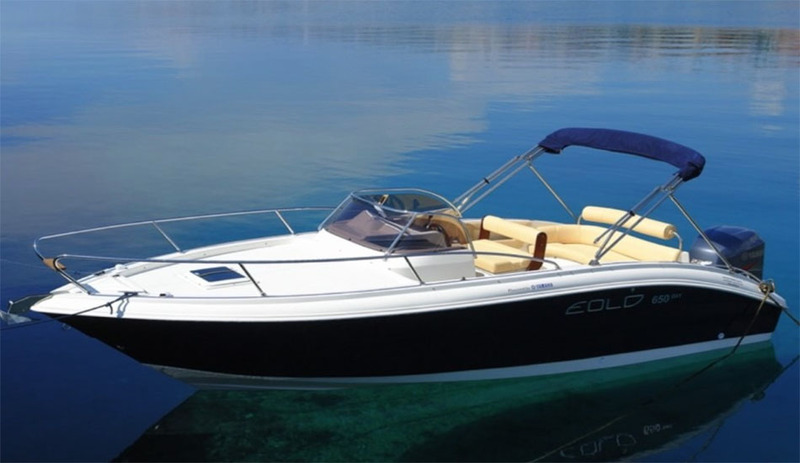 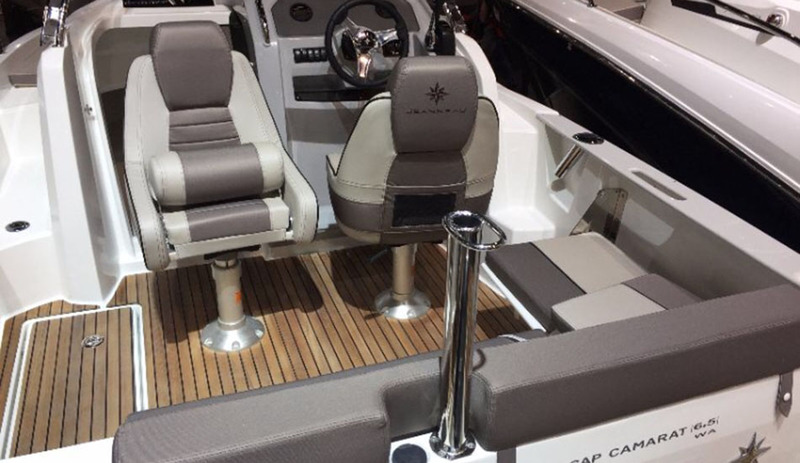 New boat rentals in Novi Vinodolski New boat rentals in Novi Vinodolski are Barracuda 545 and Jeanneau Cap Camarat 6.5 WA are the new boats in our offer. 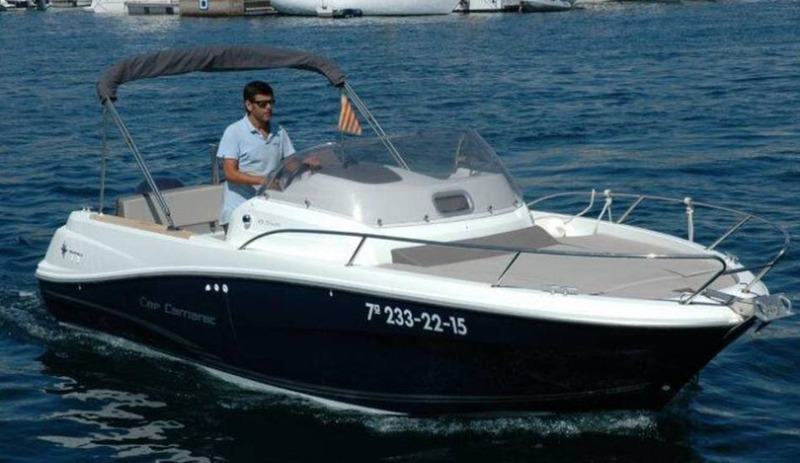 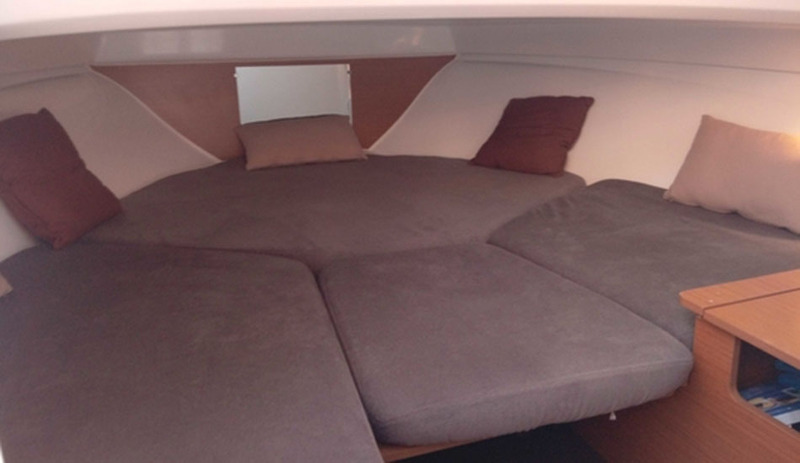 The Barracuda is starting at € 960/per week and Janneau Cap Camarat starting at € 1.320/per week.